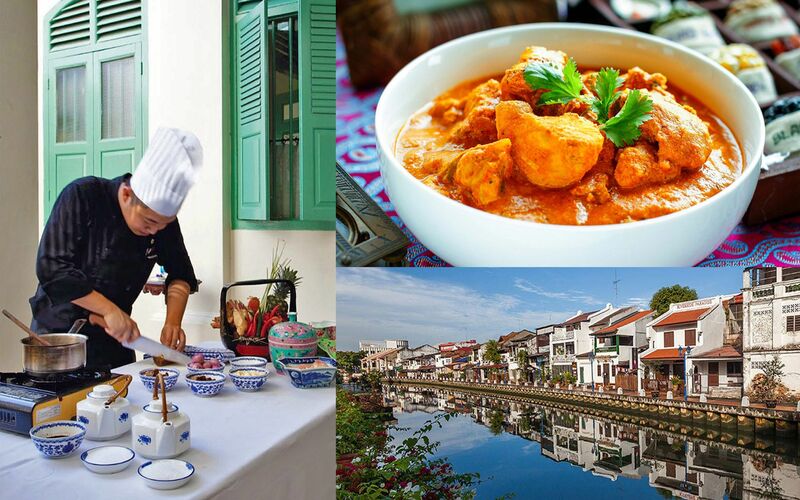 Supplied by The Majestic Malacca's specialists in Kristang cuisine, these recipes for kari debal (Devil's Curry) and soy limang terung (eggplant with lime sauce) hark back to 500 years ago, following the intermarriage between Portuguese settlers and natives of Malacca. Never Heard Of Kristang Cuisine? Where multiracial groups in Malaysia are concerned, there's good reason why the Kristangs are less visible than the Peranakans and the Mamaks. The former rarely venture outside of Malacca, and those who do chose to migrate overseas. With the exception of Chef Melba Nunis Victor, award winning cookbook author and owner of Simply Mel's (now defunct), there are few proponents of the Eurasian cuisine, and even fewer avenues for their food to fan out. Hence the importance of eating and cooking Kristang cuisine. As far as we know, The Majestic Malacca is the only hotel equipped with a Kristang kitchen; its chefs also keep the flame of Kristang cuisine alive by leading cooking classes. Simply choose two recipes served at The Mansion, The Majestic Malacca's all-day dining restaurant, and sign up for the Kristang Culinary Journey, a YTL Hotels Experience. Kari Debal (Devil's Curry). Photo: iStock. Heat oil in a wok or a non-stick pan. Sauté ingredients C over a medium heat until the mixture changes from orange to the colour of clay; it should take on the texture of a dry rendang. Remove and strain in a colander. Reserve the remaining oil. In the same wok or pan, fry ingredients B over a low heat until fragrant. Combine parts A, B and C except for the water. Coat the chicken pieces evenly and allow to simmer over a low flame for 10-15 minutes. Add water, cover and continue cooking over a low flame until the chicken and potatoes are thoroughly cooked. Transfer to a serving plate and serve with steamed rice or bread. *Note: Kari Debal's flavours intensify over time, so prepare the dish a day or two ahead of serving. Once cool, the curry can be stored in a container and refrigerated. Soy Limang Terung (Eggplant with Lime Sauce). Photo: Courtesy of The Majestic Malacca. Slice eggplants lengthwise and score the white flesh with a crisscross pattern. Season with ingredients in part A and fry in oil until soft and golden brown. Set aside. Fry onion and chillies first for 2 minutes. Add remaining ingredients in part B and bring to a boil. Fry eggplant slices, skinside down first. Flip over and fry the white flesh. Pour sauce over the eggplant slices. Garnish and serve hot. The Kristang Culinary Journey is inclusive of a tour to a local market, ground transportation, light refreshments, an apron and a head scarf, a cooking class, and lunch. Participants will receive a culinary certificate upon completion of the class. Children aged 12 and below may attend for free if accompanying a full paying adult (RM380 per pax).